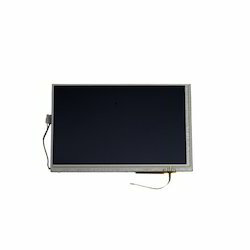 Our TFT LCD Panels are easy to interface and availabe in SPI, parallel, RS232 interface option, our TFT can be used in 8 bit or 16 bit or 24 bit mode also with inbuild controller option. Since our inception, we are affianced in presenting an outstanding quality array of TFT Panel G104SN03 V1. The offered TFT panel is made available with 71.084.0 interface. The color and TFT panel type may differ according to the circuit. In order to manufacture a unique and perfuming TFT panel, at our vendor’s end, professionals in accordance to set industry compliance manufacture the TFT panel along with keeping a strict check on the production. Our organization takes pleasure to introduce its business as one of the leading entity offering TFT LCD Panels. At our vendor’s end, these panels are manufactured using quality materials and advanced technology. Our professionals manufacture all kinds of media according to the trending demands and clients’ needs. In addition, the offered media is built and developed adhering to industry standards. Furthermore, our professionals opt for strict quality inspection made on the media to ensure flawless performance. Besides, clients can get the panels from us at industry leading cost. 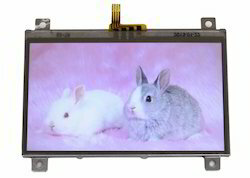 Looking for TFT LCD Panels ?